Want music that is as beautiful and elegant as the instrument from which it originates? 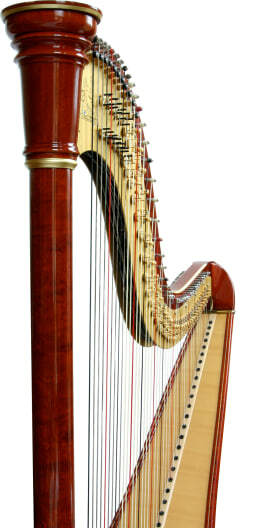 A harp may be the answer to your musical decision! Just imagine the musical serenade as you walk down the aisle. Or the elegant background music permeating your black-tie dinner event. With a harpist, your music will match the sophistication of the event. In addition to being a classy selection for your up-scale events, the Celtic harp is perfect for a Renaissance festival or Irish celebration. So no matter the event you're planning book a harpist for your musical needs. Search for Harpists in Hot Springs, Arkansas above. Please note that these Harpists may also travel to Hot Springs National Park, Mountain Pine, Piney, Hot Springs Village, Jones Mill, Pearcy, Lonsdale, Royal, Bismarck, Malvern, Jessieville, Friendship, Bonnerdale, Donaldson, and Alpine.